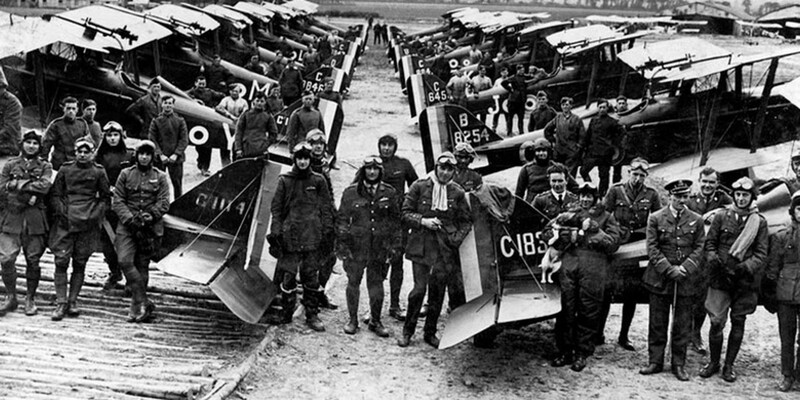 On 1 April 2018, the Royal Air Force will be celebrating its 100th birthday. During WW1, 2nd Lieutenant Harold Greensmith Jeffery, of Staveley, was one of the R.A.F.’s earliest casualties, He died on 4 July 1918 and his story will be published here, on the centenary of his death, on 4 July 2018. Local R.A.F.casualties of WW2 include Howard Allport, Dennis Barker, Geoffrey Bradshaw, Gordon Collis, Harold Ellis, Reginald Flood, Kenneth Hunter, Cecil Nicolson, Arthur Parkes, Thomas Rooney, Charles Rudge, Charles Stone, William Thompson, Frederick Thrall, Geoffrey Tonks, Gordon Vardy, Leonard Williams, Alan Fretwell, John Otter, George Duckmanton, Arthur Fogg, John Patterson and Gordon Slack. If you have any information, or photographs, about any of these men, please contact us so that we can make sure that “Staveley Remembers” them. This entry was posted in Remembering, WW1 Centenary, WW2 by webmaster. Bookmark the permalink.